Searching for a home within the Spring Lake Elementary School Zone? Then you are in the right place! We work hard to make your next home search easy and efficient, so that when you are ready to buy or sell, we are ready to help! 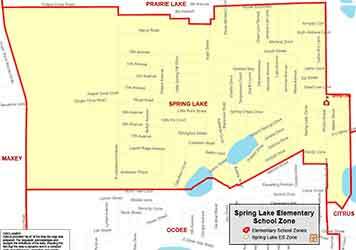 Students of Spring Lake Elementary reside within the 34761 zip code. Spring Lake Elementary was established in the fall of 1960 with a teaching principal and five teachers. The staff was temporarily housed at Ocoee Junior/Senior High School until the construction of the initial school building was completed. During the mid-1980’s Spring Lake grew quite large with many portable classrooms to accommodate the students. The opening of a new elementary school and the shift to the middle school concept in 1986 reduced the size of Spring Lake to an average enrollment of 600 in 1995. In 2007, new classrooms were added on the northwest side of the campus. The permanent learning centers came completely equipped with the latest technology for our students’ education. 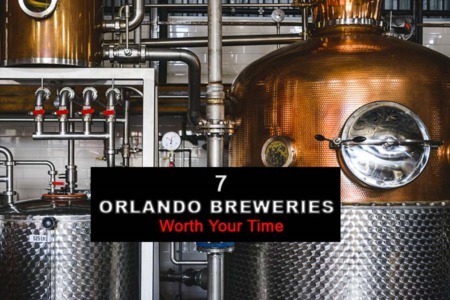 In recent years, Spring Lake has become a true sampling of the cultural diversity that is prevalent across Florida today. They are a true neighborhood school, where a majority of students are transported by private vehicles or walk or ride bikes to adjacent neighborhoods. Another reason our students succeed is the fact that our teachers are highly qualified in their fields. Nearly half of our teachers have their Master’s Degree in educational fields. Spring Lake Elementary School provides an environment that is conducive to learning, where children and adults feel accepted, secure, and valued. Many of our faculty and staff members have worked here more than ten years; some are beyond their twentieth year. Staff, students, and parents are proud to be a part of Spring Lake Elementary.